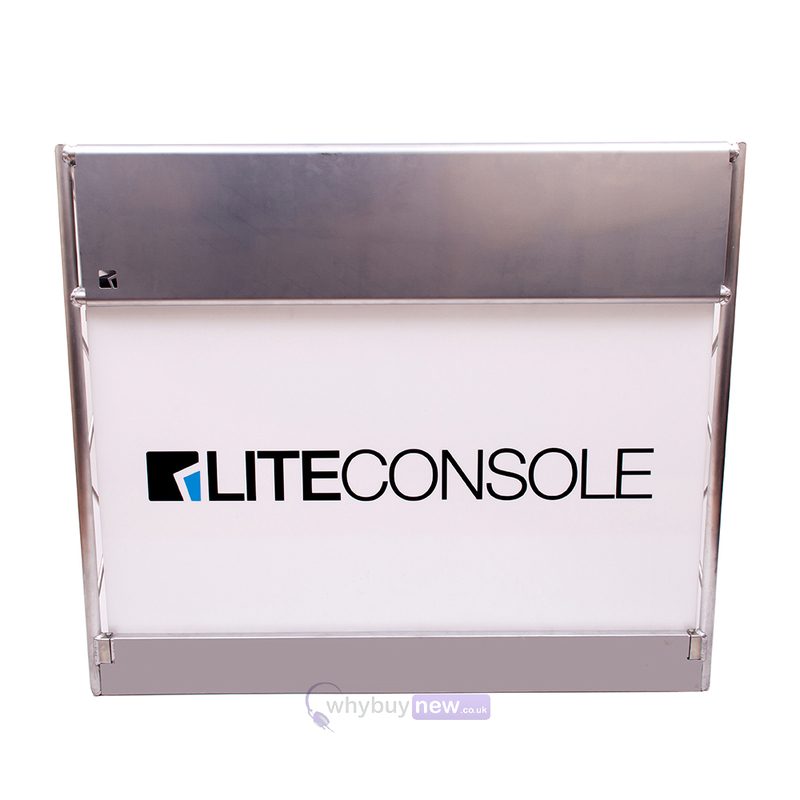 This LiteConsole XPRSlite has a sleek and stylish design with the build quality of the original LiteConsole XPRS, but due to this excellent design it has been streamlined in order to provide an even quicker setup time and for those who do not need as many shelves as the original. 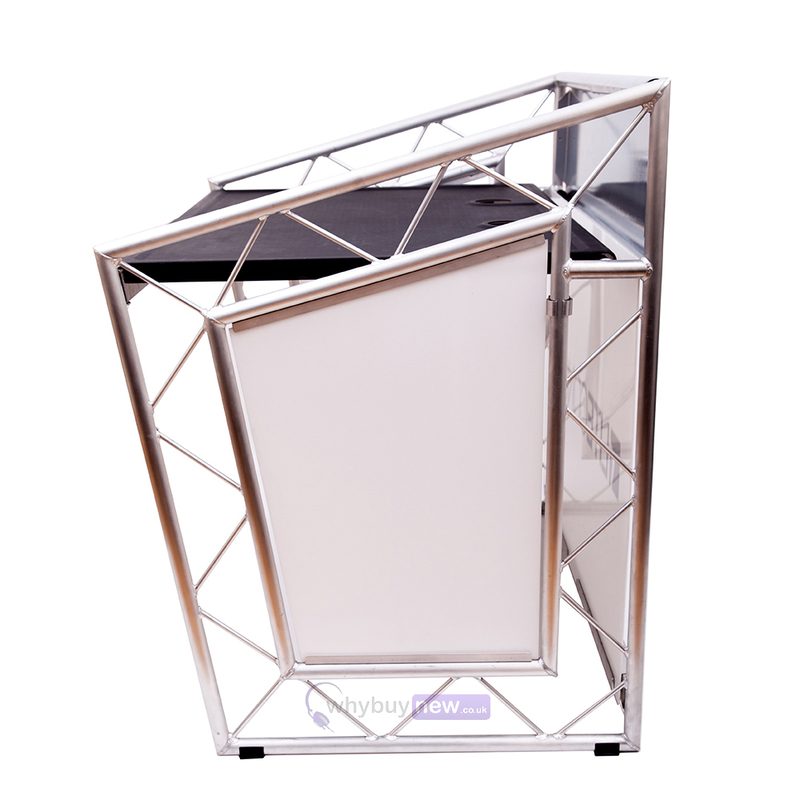 Incorporating the same semi-transparent side and front panels and aluminium front top plate as its big brother, the XPRSlite comes with one large main shelf to set your equipment on complete with cable pockets to run and hide your cables. 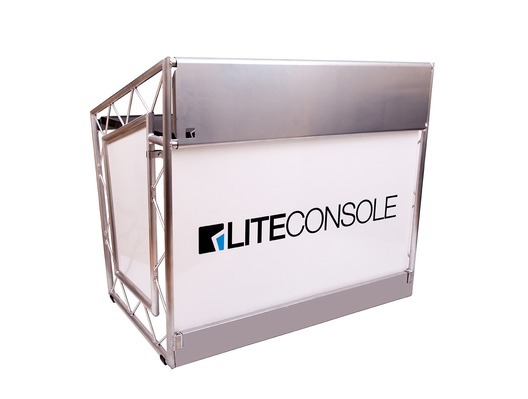 The efficient design of the LiteConsole XPRSlite doesn't compromise on space. 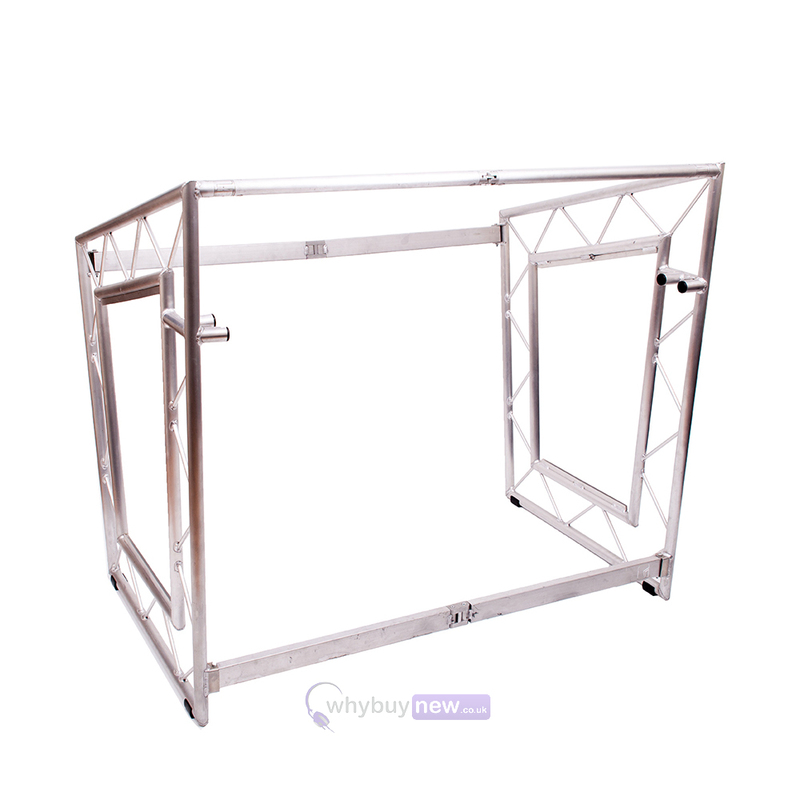 The main shelf can fit bags of DJ equipment and is perfect for live sound engineers too as there is even enough space for a professional live sound mixer or professional lighting desk! Not forgetting floor standing space for flight cases or rack mounted effects that can be hidden from view inside the LiteConsole. This is a one for all, all for one professional performance platform. 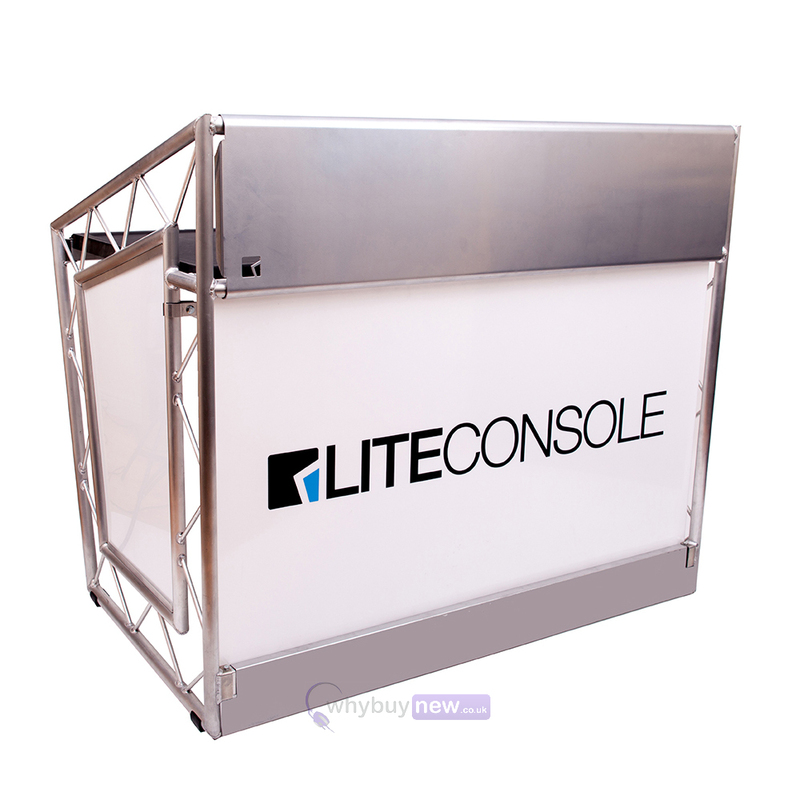 The LiteConsole XPRSlite is suitable for all performance situations whether you are a DJ or musician looking for ultimate stage presence or any corporate events, AV presentations, exhibitions or conferences that need a professional presentation platform. 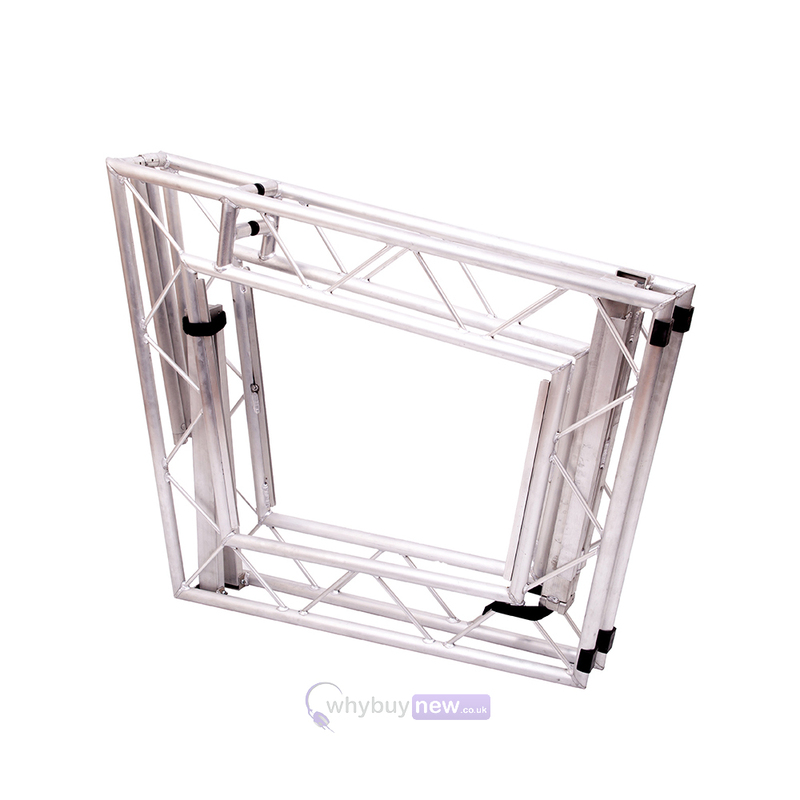 Worried about transporting your new LiteConsole XPRSlite? Don't be. Each design comfortably converts to flat pack size so you can just pop it into your car and you're away! For those wanting extra support and durability whilst on the road, the LiteConsole UDG bag is the perfect option for transporting your Liteconsole.